If you have missing teeth and are looking for a reliable solution, Point McKay Dental Dental is pleased to offer NW Calgary Dental Implants to restore your oral health and wellness! 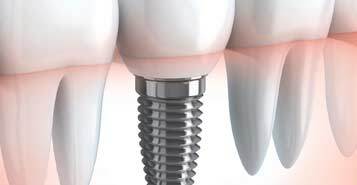 Dental implants are used to replace one or more missing teeth by using an artificial root made from titanium metal or ceramic. If you have missing teeth, Dental Implant treatment might be the best solution for your unique needs. Dental implants are made from surgical-grade materials and act to replace the missing root if your tooth. They are surgically placed into the jawbone, and after a short period of healing, your dental implant is fit with a ceramic dental crown or bridge to complete the restoration. 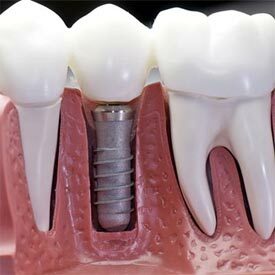 The success rate for dental implant treatment is very high. We consider Dental implants as a permanent restoration. Unlike wearing a denture or partial denture that must be removed every night or worry over eating certain foods that may cause the denture to click or slip, dental implants are the closest restoration to your natural tooth structure! Ideal candidates for dental implant treatment have good overall health and practice routine oral hygiene practices. Adequate bone levels in your jaw are also required to support the dental implant, and healthy gum tissues that are free of gum disease is very important, in order for your dental implant treatment to be successful. Call us at (403) 283-7829 to book your Dental Implants Consultation with us today!